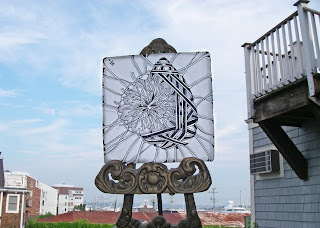 Massive Zentangle Sighted in Newport, Rhode Island! Well, maybe it just looks bigger. 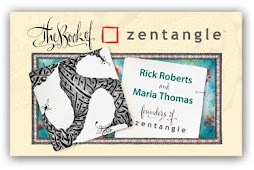 We are in Newport getting last minute details lined up (one stroke at a time) for our August Zentangle Masters' Class. 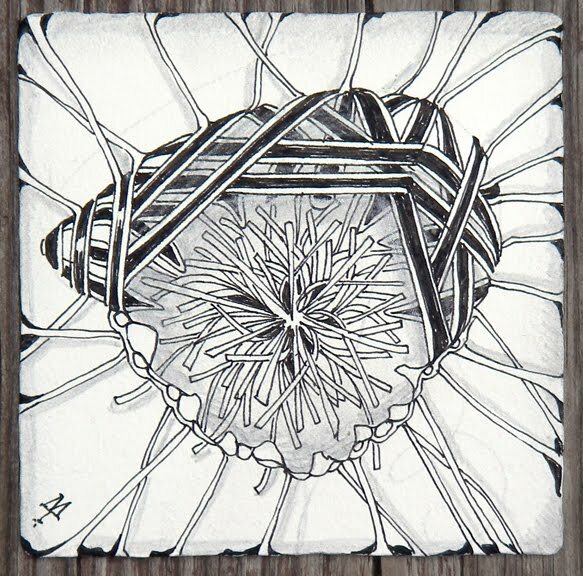 Maria did this Zentangle this morning - a fun dance of hollibaugh with a variation of verdigogh. Note: This Masters' Class is full, but we'll have more . . . watch our newsletter. 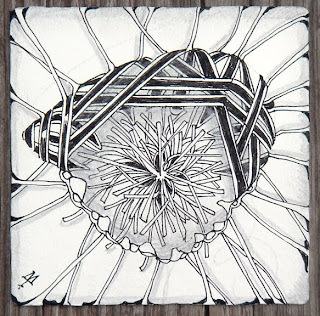 Exciting that these classes are filling so quickly! Can't wait to see what you post online. Thanks for keeping us all in the loop. On the sixth day of naptime . . .
On the fifth day of naptime . . .
On the fourth day of naptime . . .
On the third day of naptime . . .
On the second day of naptime . . .
On the first day of naptime . . .